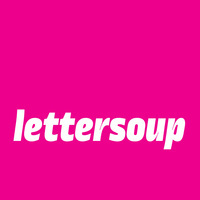 lettersoup is an independent type foundry based in Berlin, Germany. It was founded by Botio Nikoltchev in 2014. The main focus of lettersoup is cooking fonts with Latin, Cyrillic, Greek and Arabic taste.